South African investors concerned about environmental issues are hard-pressed to find an easy way to ensuring their money does not flow into companies responsible for environmental damage through the likes of poor waste-management and pollution. 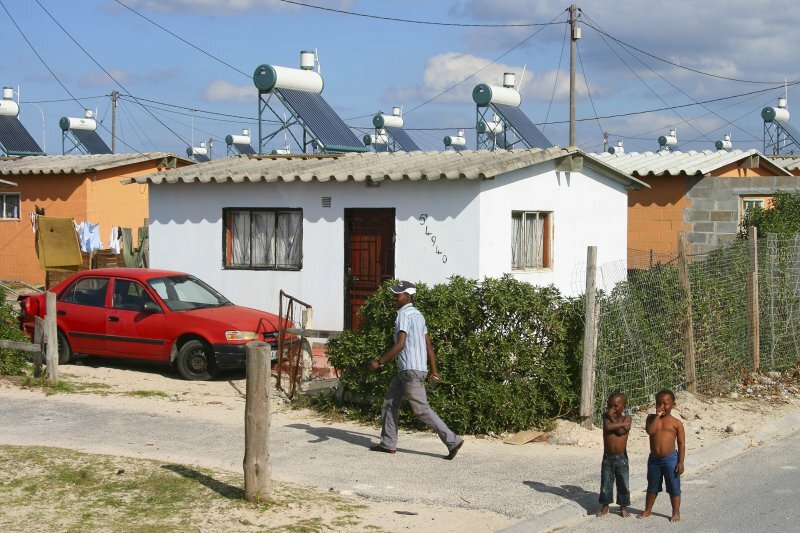 A recent post-doctoral study by research fellow Stephanie Giamporcaro at the University of Cape Town’s Environmental Policy Research Unit revealed that a barrier to environmentally responsible investment was set by an ingrained perception that being environmentally friendly was synonymous with being unprofitable. Interviews with 22 investment organisations brought Giamporcaro to the conclusion that South African asset managers lack a sense of environmental responsibility in their decision making process. And calls to financial services companies revealed a lack of investment portfolios on offer which would enable investors to specify or restrict trading to environmentally responsible companies, through what could imaginably be called a green index. Brett Landman, CEO of Satrix, said such an index did not exist due to a lack in demand, which meant it was not considered financially feasible. “I don’t think that people perceive environmentally friendly policies as the same as profit optimisation, rather it’s juxtaposed to profit optimisation,” said Frederick Barnard of Avance Asset Management, which has offices in Switzerland and South Africa. But this was a false perception, said Giamporcaro, as companies which incorporated sustainable practices in their business operations outperformed their purely profit-driven counterparts over the long term. Chair of the Environmental Goods and Services Forum – a green industries association – Peet du Plooy, said research by Innovest revealed that “the growth in market value of global companies with progressive policies on addressing climate change, for example, outperformed the average by four percent”. “A company who cannot handle its own waste or pollution cannot be much better at handling its investors’ money. Moreover, a company that destroys the resources it ultimately depends on will one day go out of business,” said du Plooy. However there is a shift in the way businesses is being conducted. As of this year companies will have to complete a climate change survey as part of their social responsibility assessment. This, coupled with voluntary initiatives such as the Carbon Disclosure Project (CDP), calling on organisations to disclose their greenhouse gas emissions, could start changing the investment landscape. “Especially with the environmental laws changing there is a huge financial risk not to be sustainable,” said Nedbank sustainability officer in the sustainability division, Vicky Beukes. “More and more clients are interested in sustainable businesses and they’re willing to pay more,” he said. The CDP report for 2009 had 55 of the top 100 JSE listed companies participating, a nine percent increase from 2008. “I think it’s already happening, it’s not a question of maturity, turn on any DSTV channel and you will see green,” said Beukes. But while a certain amount of consumer and ‘peer’ pressure could cause businesses to start thinking along greener lines, du Plooy said a shortage of data by which to evaluate the environmental sustainability of a company (its impact on environmental capital) was a “major constraint”. He said while reporting frameworks like the Global Reporting Initiative (GRI) and disclosure initiatives like the CDP could provide much of the necessary information required for determining companies’ eco-performance (such as energy and water use, emissions, waste in the manufacture and use of products), companies are not legally obliged to report on this and this many did not. A further constraint was a lack of consensus on how to value companies’ eco-performance as a part of the overall valuation of shares in that company. In the meantime, said du Plooy, environmentally conscious investors – what he calls eco-investors – should ensure their portfolio focuses on sectors which have a low environmental impact, and look at companies diversifying their business into green products or are leaders in greening their operations and supply chain. Sectors with traditionally low environmental impacts included IT and telecommunications, media, finance, light manufacturing, retail and services.